The US-base McMurdo is situated far south in the Ross Sea on McMurdo Island, under the famous volcano Mount Erebus. There is nothing such as a »nice« antarctic station, but these places are not meant to serve aesthetical purpuses, but science and logistics (yes, and politics). 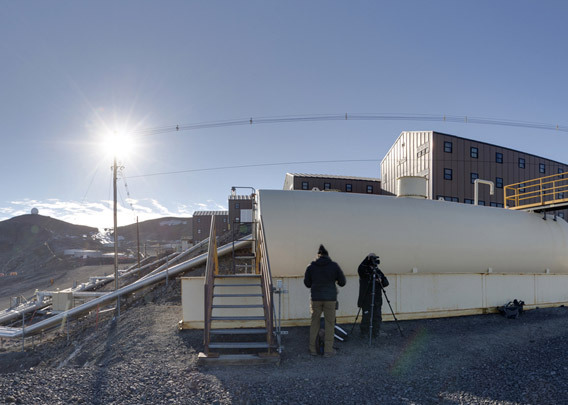 But McMurdo is a shining example of ugliness out-of-place waste products of civilization on a scale that is unrivalled elsewhere in Antarctica. They say Antarctica is a pristine place. Not at McMurdo Base. The place is a small town rather than a station, housing far more than 1000 people during busy summer season, when frequent flights connect McMurdo to New Zealand, Amundsen-Scott Base at the South Pole and the Russian Vostok Station. The nearer surroundings are made accessible by immense vehicles. 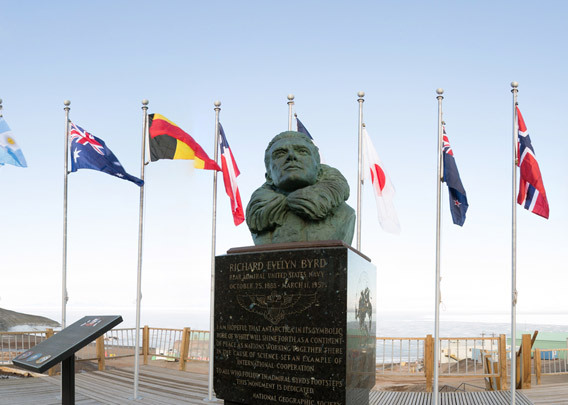 The New Zealand Scott Base is just 3 kilometers away, a road connects McMurdo and Scott Bases. Part of McMurdo’s infrastructure was a nuclear power plant that was in use from 1962 to 1972. After dismantling, it was moved to the US together with several thousand cubic meters of contaminated soil. Visiting McMurdo Base will normally require helicopters due to the ice conditions in the area, and it is certainly alway a very bureaucratic process. They seem to believe that people who visit the place have never crossed a road or been inside a shop before in their life. But if you have done something like that elsewhere, then you will also be able to survive the traffic in McMurdo. You won’t see a lot of science there, the internet is a much better place to learn about antarctic research than McMurdo unless you are involved. Nevertheless, it is in its very own way absolutely unique, no doubt about that. And absolutely worth the visit are Scott’s old hut at Hut Point, built and used during Scott’s first expedition, the Discovery-expedition (1901-04). Getting to Hut Point is a matter of a few minutes walking along the road from McMurdo Base. Another highlight ist the walk up to Observation Hill on the other side of the base.